Bad breath… It’s not something to be sniffed at! Believe it or not, but about one person in four will suffer from bad breath – or to give it its medical term, halitosis – in their lifetime. Yet although it is something that is not always regarded as a serious complaint, the effects of bad breath can be quite devastating, causing severe embarrassment and a drastic lack of confidence leading to real problems both socially and at work. The primary reasons behind bad breath can be quite varied. For instance it could be caused by smoking or a person’s diet – especially if they eat a lot of highly flavoured food such as garlic, ginger or curry. It can also be as a result of gastric problems where odours escape from the stomach into the mouth. Or it can even be caused by diseased tonsils. But probably the major causes of bad breath are dental problems – either because of bits of food trapped between the teeth or through tooth decay and gum disease. In all these instances bacteria can form and result in severe bad breath. Floss daily to remove food remnants from between the teeth. Scrape and clean your tongue. Rinse your mouth on a daily basis with a good mouthwash. Visit your dentist regularly for routine check-ups. Number five is without doubt the most important advice of all and at Carisbrook Dental, as part of any routine dental examination, if we find any evidence of bad breath we always check to rule out dental causes. If we find that the problem is non-dental then we are able to discuss dietary issues and can provide sound professional advice, or if we feel that the cause stems from other, more serious sources we will always refer you to your doctor. However, if we do find that the cause of bad breath is dentally related we can easily devise a treatment plan to quickly and effectively eradicate the problem. So, bad breath is not a problem you have to live with, or shy away from. 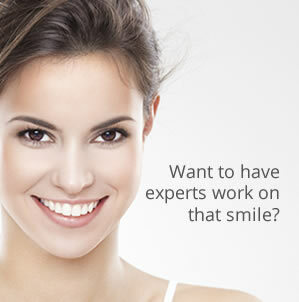 If you don’t currently have a dentist why not contact us and we’ll be happy to help you overcome the problem.